It is not at all easy to win a champion's medal in a top European League. There have been very good footballers like Steven Gerrard, Sami Hyypia and Gianfranco Zola, who have failed to win any top league title. Only footballers of the leading clubs usually have the privilege of winning a domestic league title. However, very few footballers actually have won 5 or more league titles. In order to do that, a footballer needs to be a member of a very good club side and also has to have a considerably long career. Not every footballer can manage to do both. 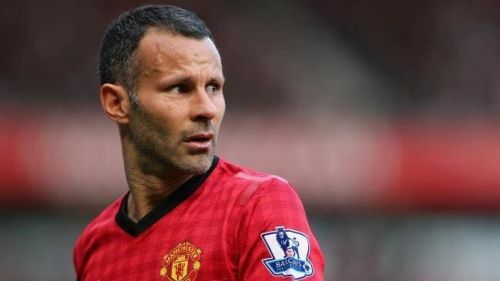 Ryan Giggs is the epitome of longevity and quality in English as well as world football. He spent 19 supremely successful seasons with Manchester United after graduating from the Academy in 1992. Giggs managed to win 13 Premier League titles and 2 UEFA Champions’ Leagues. No other footballer in a top European league has won as many domestic titles as Giggs. He also holds the record for most appearances in the League. He has played 963 matches for United and scored 168 goals. Giggs was very versatile as a footballer and was equally comfortable playing in the central midfield and the flanks. He was also an ambidextrous footballer and capable of scoring goals with both his feet. Giggs’ dribbling, short passing and great vision set him apart from most of the other players and his teammates usually looked up to him. In his prime, Giggs was the best footballer in Great Britain and a talisman for the great United side under Sir Alex Ferguson. He was an intrinsic part of the great 4-man midfield featuring Roy Keane, Paul Scholes, David Beckham and himself. He gave many memorable performances in the United shirt and their supporters still cherish the memories of his outstanding solo goal against Arsenal in the FA Cup final in 1999.